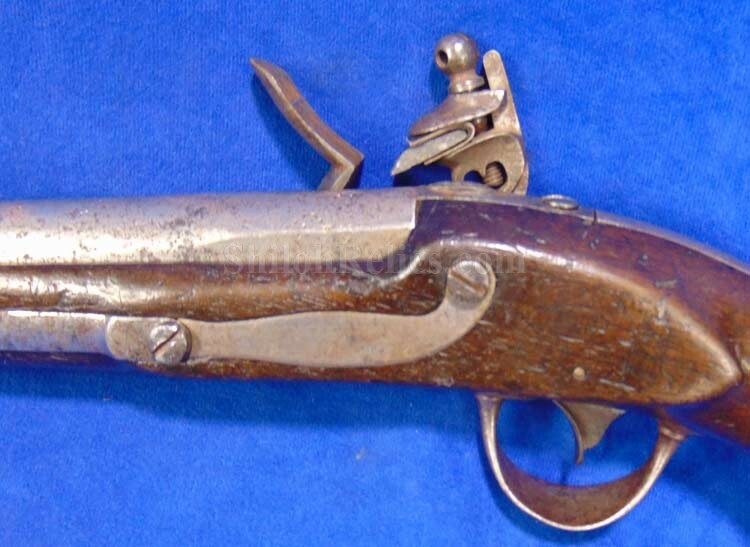 This is a cool gun with a very pleasing look. 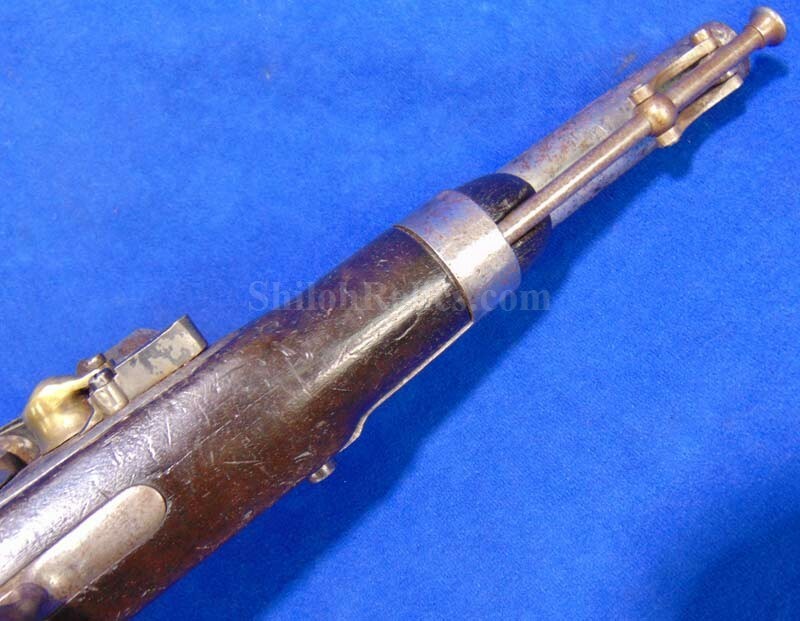 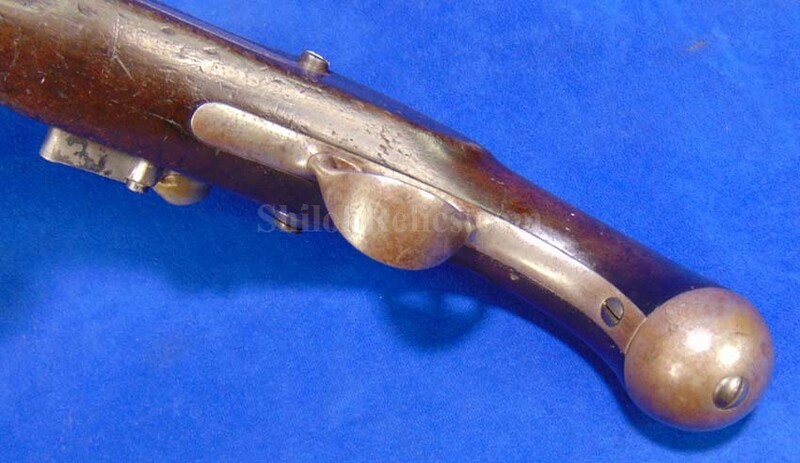 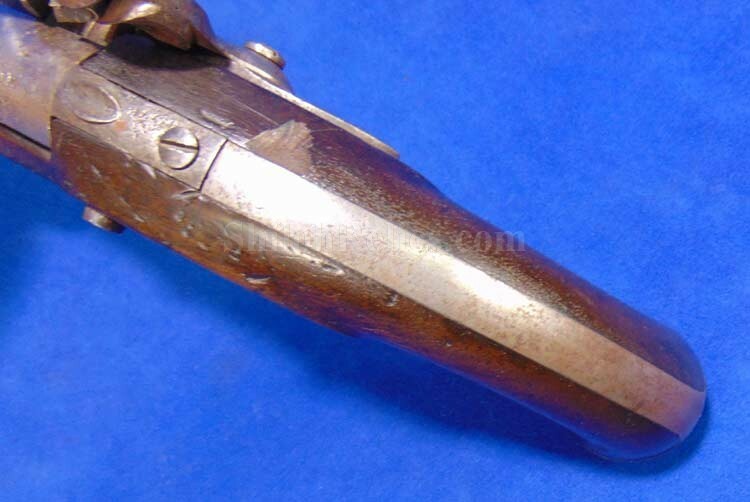 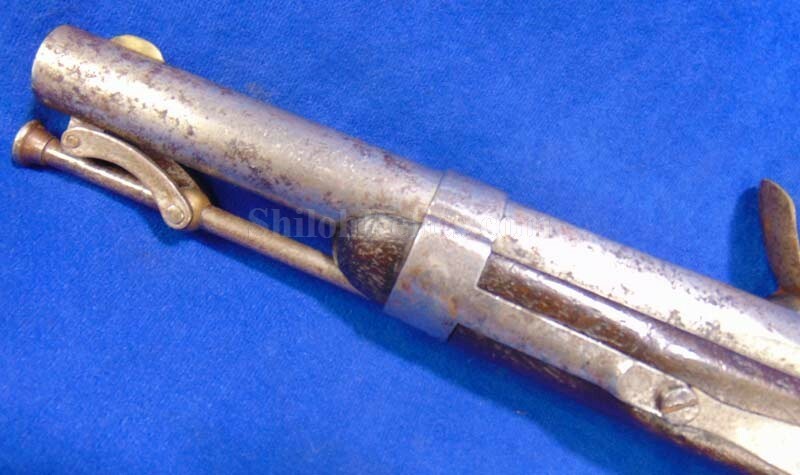 It is a nice original single shot military flintlock pistol. 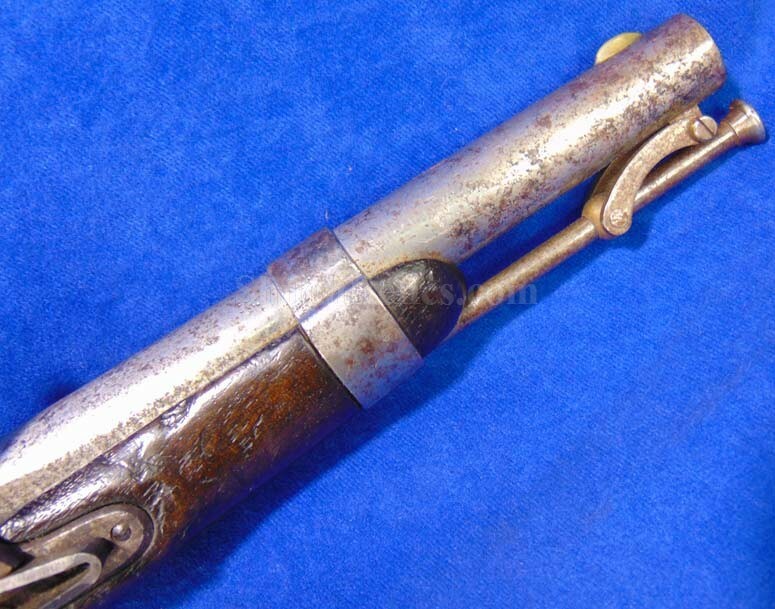 The gun was manufactured by Asa Waters Company. 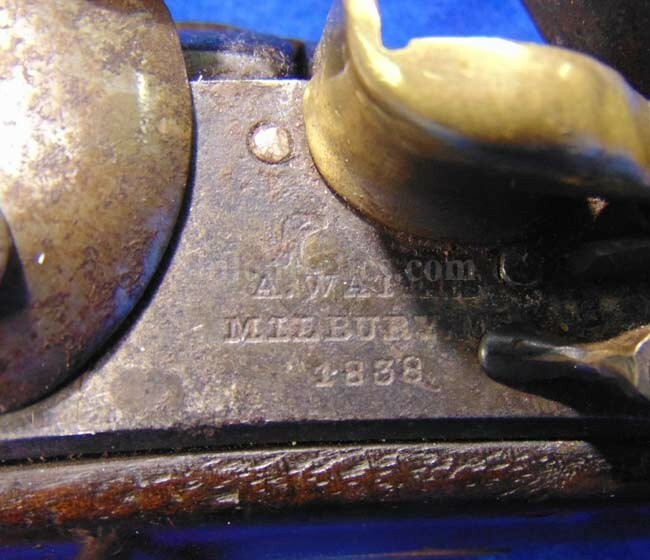 On the lockplate is the original production date of 1837 as well as the Milbury, Massachusetts production location. 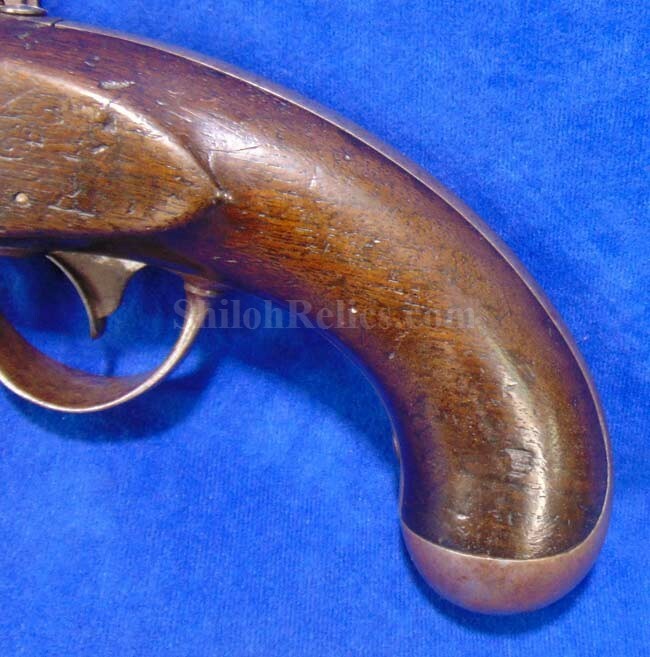 This pattern of gun has a special place in American firearms history. 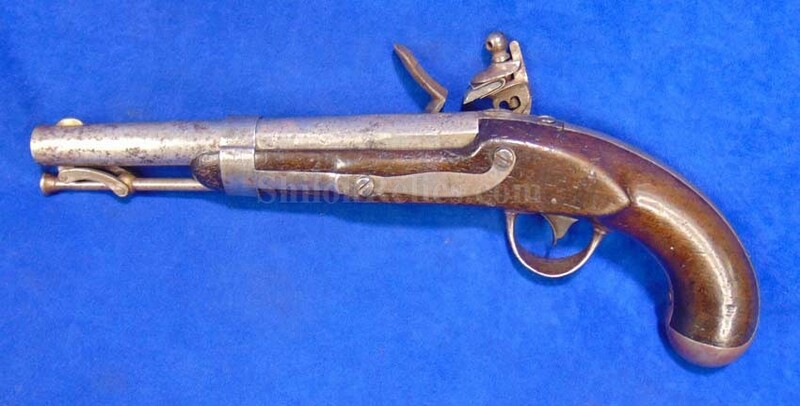 It is the US model 1836 single shot flintlock pistol. 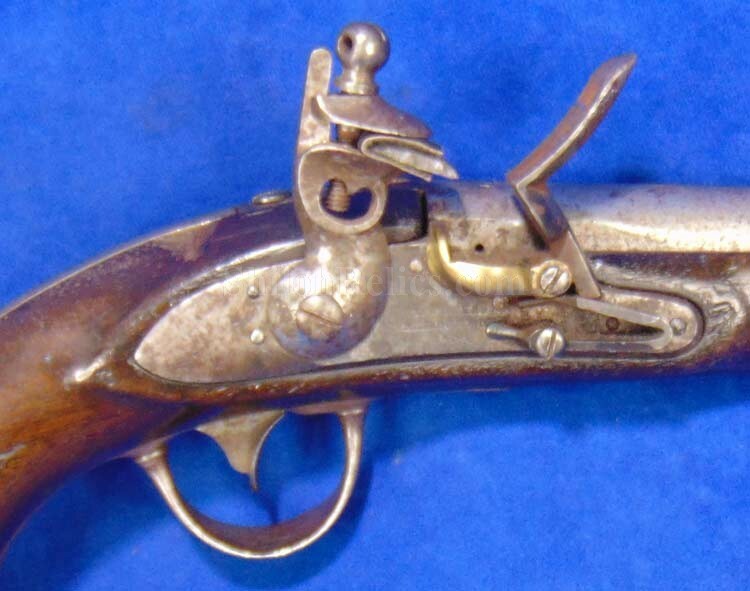 These guns have the distinction of being the last handgun the US government purchased that was in the flintlock configuration. 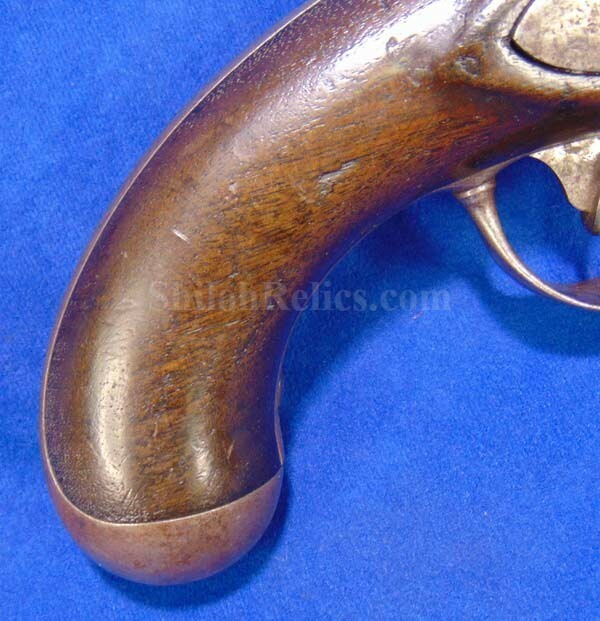 Starting with the next model, model 1842, the handguns were percussion. 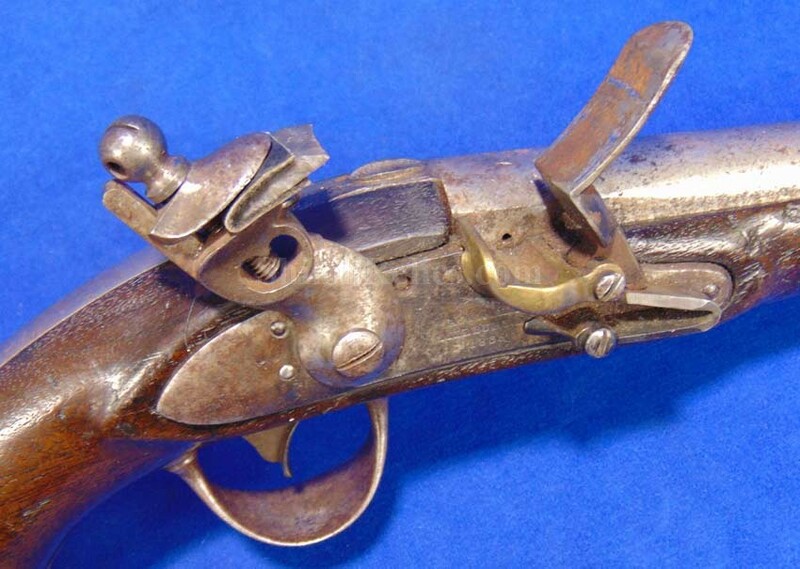 The lock plate is in the original flintlock configuration. 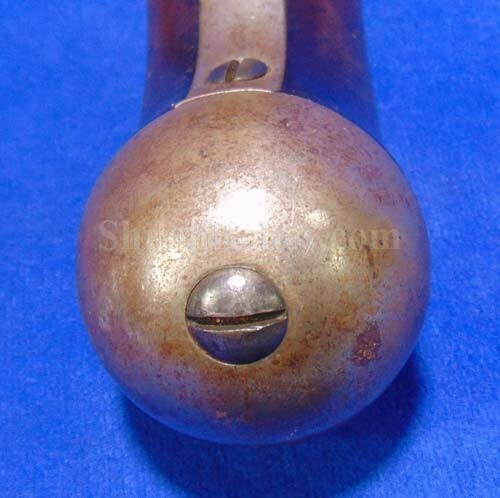 It is tough to find these that haven't been converted to percussion. 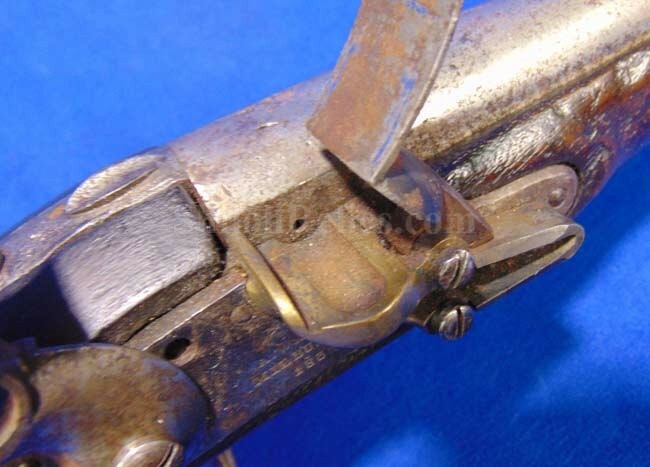 The mechanics of the lock work fluidly on both of the positions. 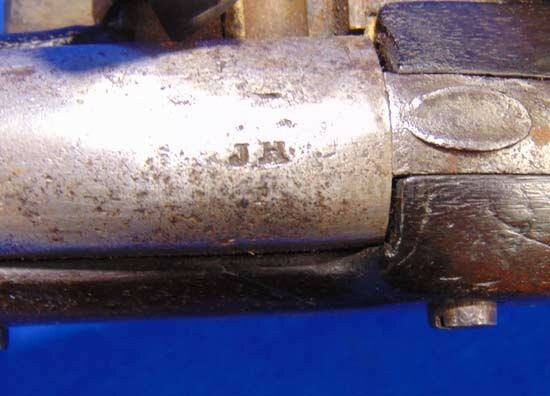 The barrel is full-length and has the "JH” inspector initials clearly stamped at the breech of the barrel. 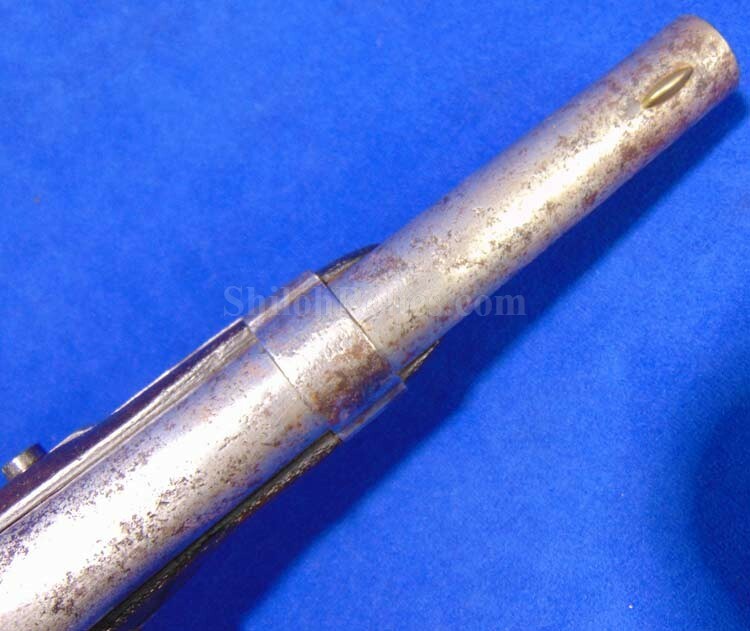 It also has the small "US" letters still visible. 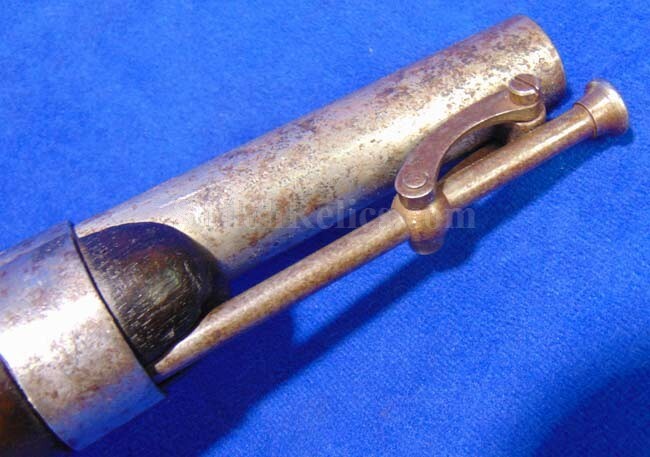 Underneath the barrel it has the original ramrod and ramrod swivel. 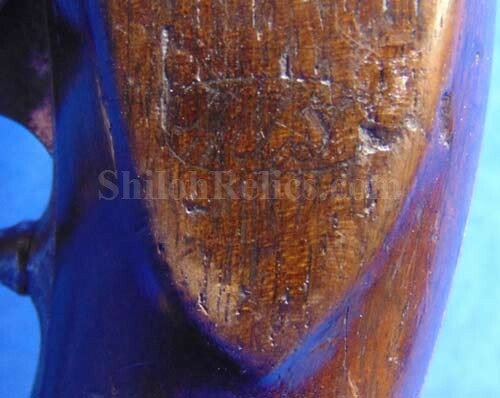 It has a nice dark tone to the wood with a beautiful look to the piece of walnut. 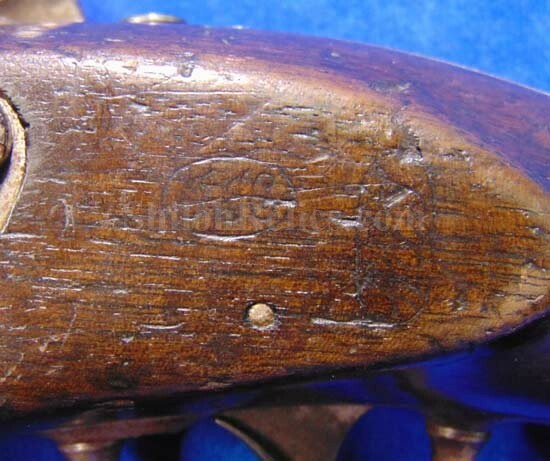 On the flat of the stock opposite of the lockplate, you can see the pair of inspector cartouches where it was approved for military service. 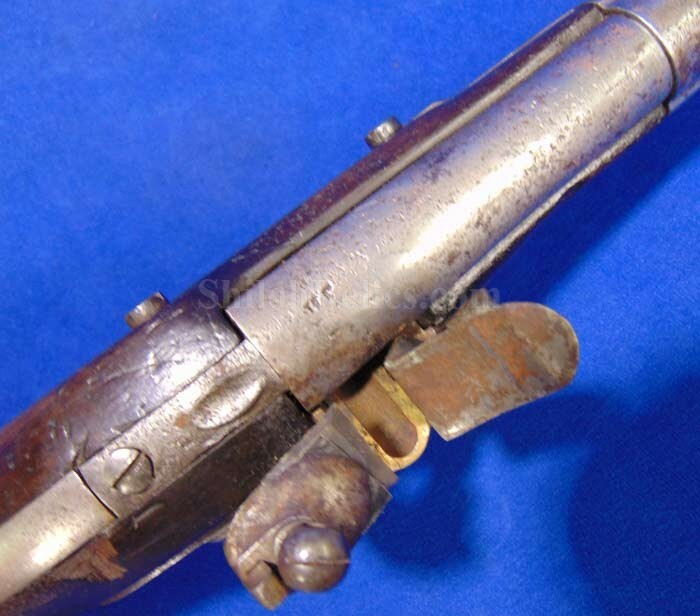 The larger one is "WAT" for the inspector William A. Thornton. 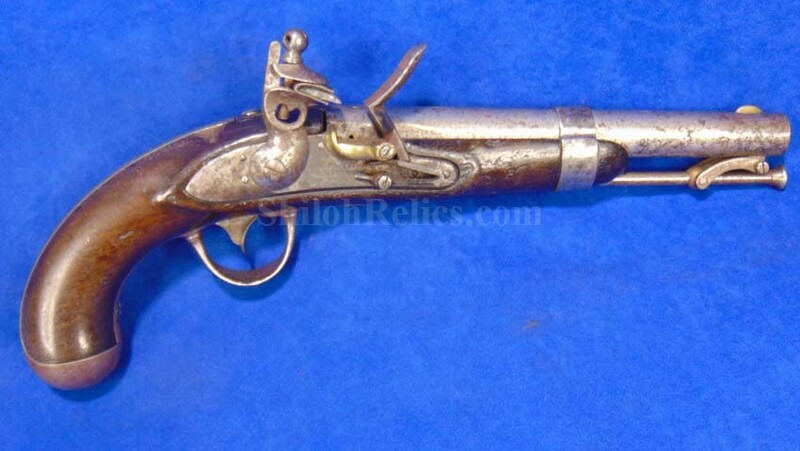 This one is a very cool looking weapon for your collection.